The intake for the Tom Maynard Academy, comprising twelve (12) professional cricketers from some of the UK’s first class counties, accompanied by nine (9) supporting staff are now back in England having completed a successful nine days of warm weather fitness and cricket training between Thursday 18th – Friday 26th February at Desert Springs Resort, Europe’s only international award-winning luxury family resort, championship desert golf course and dedicated Cricket Academy in the Almanzora region of Almeria, Andalucia in south-east Spain. “Now into our third year at Desert Springs, this was yet another fantastic visit. The wickets at the Cricket Academy continue to improve year on year. Former Gloucestershire, Yorkshire and Australia all-rounder Ian Harvey and former Leicestershire, Kent & England wicket-keeper/batsman Paul Nixon were responsible for assisting Matthew Maynard in delivering specialist sessions to the players; and former England Head Physiotherapist, Dean Conway, was on hand to oversee the fitness and physical work while the group were at Desert Springs. Jamie Dalrymple, former Glamorgan captain and Middlesex and England all-rounder, provided insights into leadership, sports psychology and dressing room dynamics, and Ireland’s former Head of Performance and now Millfield School’s Head of Cricket Coaching, Mark Garaway, carried out some personality profiling to support the 2016 intake with expert advice on how to use that to beneficial effect in their careers. Mike Fatkin, one of the Trustees of the Tom Maynard Trust and a former CEO at Glamorgan, provided management support for Matthew Maynard and helped the players to understand some of the off-field pitfalls of being a professional sportsperson. 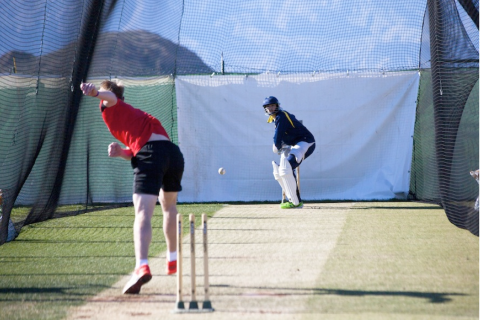 The Academy worked on a specific and carefully planned programme covering technical skills, strength and conditioning and both individual and group activity culminating with a special one-day match between the Tom Maynard Academy XI and the Spanish National side. 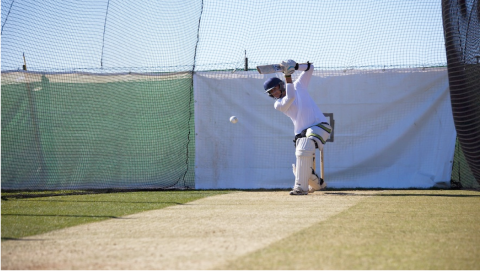 Click here to view a video of the Desert Springs Cricket Academy. The players and staff were accommodated in some of the privately owned Villas and Townhouses normally reserved for holidays and short breaks at Desert Springs and the resort’s executive chef was on hand to cater for the special dietary requirements of individual players dining in the award-winning El Torrente Restaurant. For more information on the Tom Maynard Trust, visit the website.